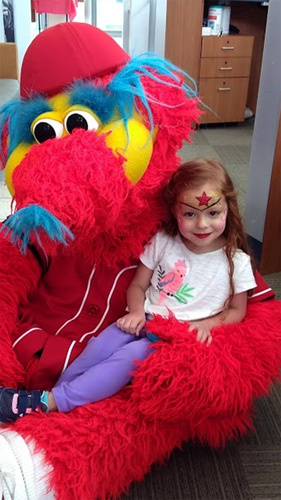 Thanks to PNC https://www.facebook.com/pncbank/ for bringing me back this year for their celebration of being affiliated with Cincinnati Reds Ball Park https://www.facebook.com/Reds/. Capper came to join in on the fun celebrating PNC”s affiliation at one of their branches. I love this little one. Her cousin was painted as Wonder Woman last year, and she had to come back this year for the same. 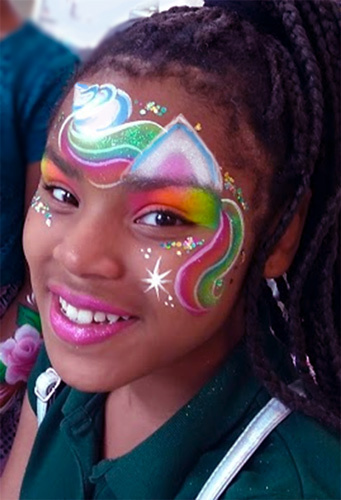 I’m honored when not only businesses continue to use my face painting services, but their family members return for the face painting. I am blessed. This entry was posted in Recent Events on May 19, 2018 by Joyce.